Anyway, since it would be rude not to, let's take a look at the eastern side of the Inner Ring Road. 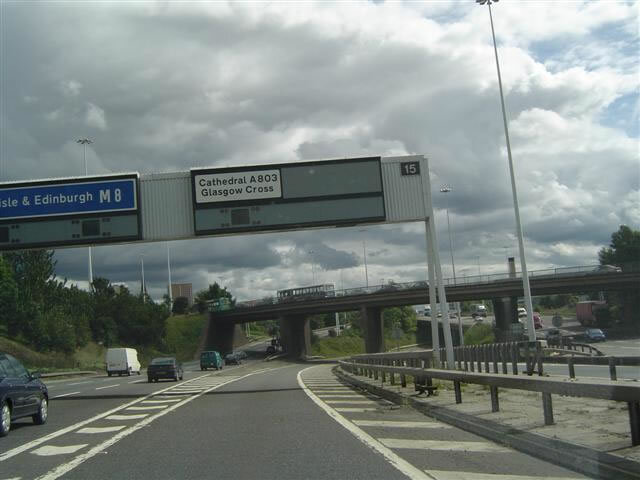 You can tell that this was meant to take priority, as the whole M8 slews around the junction. Makes no sense today, but it would if the unbuilt parts existed.